What do we as United Methodists believe? What are the distinctive emphases of our tradition? What beliefs are essential and what beliefs are not essential? These are good questions! Along with all Biblical mainline denominations, our basic beliefs are based on the Holy Scriptures as outlines in the Apostles' Creed. 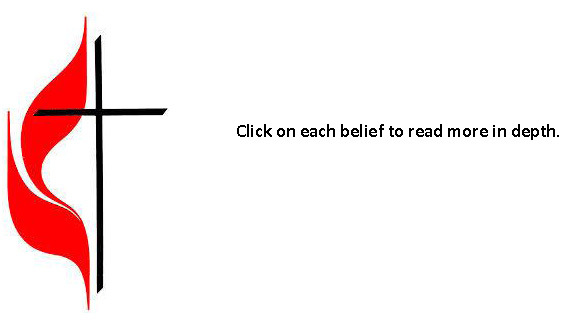 Click on each belief below to read more in depth.